November was going to be trouble. I've been participating in 1GAM all year, but I've also been a participant in National Novel Writing Month, or NaNoWriMo, for the previous two years, and I wanted to do it again this year. So, something had to give. 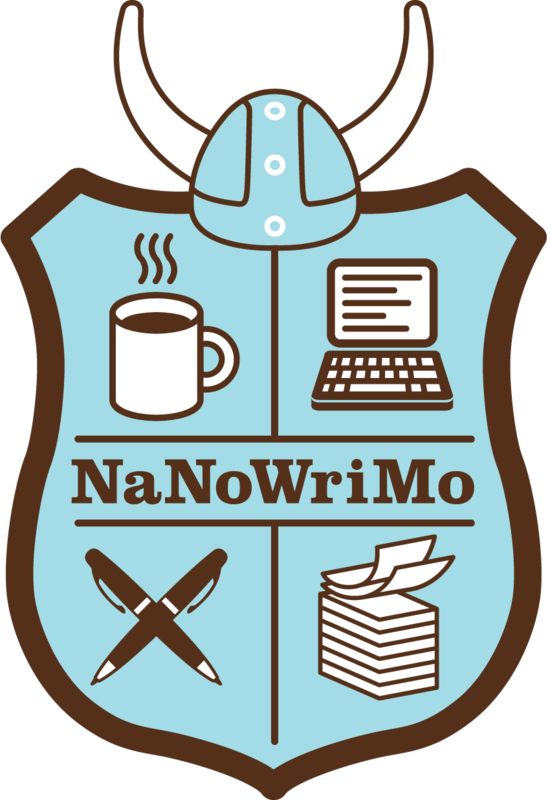 I knew that my schedule wouldn't allow me to do both separately this November, but what if I could create a NaNoWriMo project that had some degree of back-and-forth and branching? I could then convert it to a Twine project, which could be my November game! This was a bad idea. Of course I did it. This is the part I didn't really think through. If it essentially takes me the entire month to write my NaNoWriMo project, and I have to squeeze in the Twine conversion (and this writeup) at the very end of the month, that means I have to write a 50,000+ word work of fiction which is complete enough to convert into a playable Twine game with a beginning, middle, and end, and then put it straight up on the Internet without any time at all to do even a rudimentary editing pass. So that means what I've ended up with is the hastily-written first draft of a hopefully coherent story, written by a rank amateur, which I haven't even had time to check for obvious problems, and here I am posting it to be read by any random person who comes across it. This is terrifying. But here we are. "A Penitent Man" is a story told in interview format by a dead man who seeks forgiveness for his role in the events that led to the violent self-destruction of a family. He believes his own actions opened a door through which a great threat arrived, and has sought someone to tell his story to. The player takes on the role of one of the first confirmed mediums, whose particular gift is the ability to allow a spirit to suggest words which are then written without thinking (a form of automatic writing). Through this system, the player and the dead man discuss the past, the spirit's current existence, and what will happen now. I did all of the initial writing in Scrivener, which I tried out a while back and used exclusively when I wrote my NaNoWriMo 2012 win. 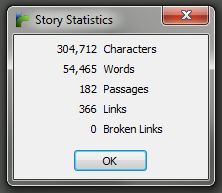 For anyone writing anything of any significant length or complexity, I can't recommend Scrivener enough. It's a fantastic tool, really, and doubly so considering its price. Having the story play out in interview format allowed the branching and interactive feeling that allowed a Twine conversion without major restructuring. While the story overall is still largely linear, there are areas of choice, and some paths through the story are more direct while others include more information to fill in details. 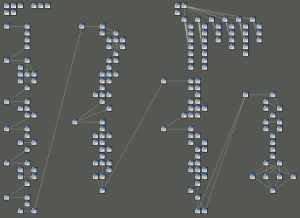 I copied and pasted each interview segment into Twine, and began working on wiring up all of the connections and adding more branching and choices along the way. As I said, it's still essentially a linear story since it's a discussion of events that have already happened, but I think there's enough interactivity to prevent it from just feeling like you're clicking through a book. The story export uses a modified Sugercane template with a few tweaks and a fair amount of custom styling. I even got ambitious enough to do my first Twine macro coding. It was mostly just a few utility macros, but I think I ended up with a pretty nice dynamic table of contents in the sidebar, and there's a "side thread" which the player can enter at any time to ask the subject background questions that don't relate directly to the main plot, then jump back into the story at exactly the point where they left. And no real surprise here, but just for the record, a NaNoWriMo-sized project in Twine caused no problems whatsoever. Well, step 1 was definitely a success. Step 2 seems to have been successful, which is to say the story has been moved to Twine, all the passages are connected and there's at least some degree of user choice and branching along the way, and the export is playable start to finish (and even has multiple slightly-different resolutions to the story). Step 3 is this part right here - the perpetual perfectionist who never wants to let anyone see anything he creates until he's obsessively polished it now puts an unedited first draft right up on the Internet, and starts telling people to go look at it. That's healthy, right?